We encounter many injuries in our daily lives, most of which we can easily identify and have a good idea what caused the injury. Carpal tunnel syndrome on the other hand is a little more difficult to pinpoint. It is one of those elusive issues which can be hard to diagnose initially and the causes can be widely varied. Carpal tunnel syndrome can also recur and plague sufferers for many years after the initial diagnosis if the correct procedures are not observed. One thing about carpal tunnel syndrome which is not in doubt is the best ways it can be treated. When these treatments are correctly implemented, patients can greatly reduce or even completely eliminate the pain and discomfort caused by this issue. 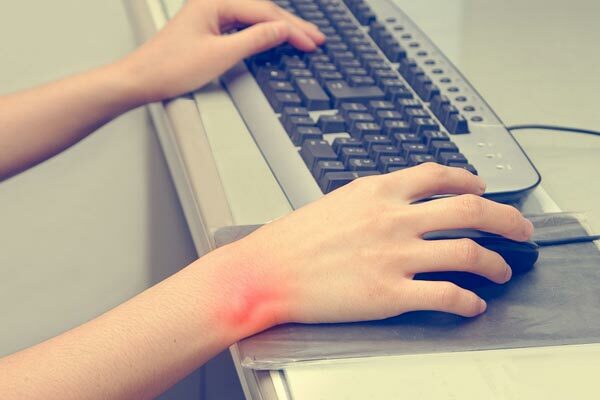 Here we will highlight some of the root causes as well as the solutions you can follow to prevent carpal tunnel syndrome or ward off any recurrence. Carpal tunnel syndrome is a condition which occurs when the median nerve (one of the foremost nerves to the hand) is pinched or squeezed travelling through the wrist. This can result in a painful, numb or tingling sensation in the hands and fingers as well as the lower arm and wrist area. The carpal tunnel itself is a narrow passage way composed of ligament and bones. 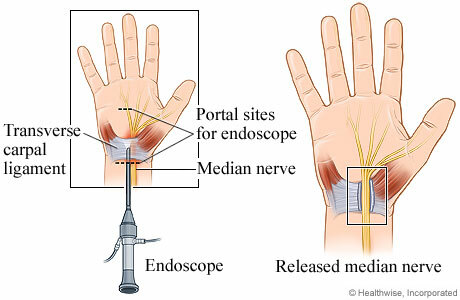 It is located at the base of the hand and it is through this tunnel that the median nerve passes. Carpal tunnel syndrome is one of the most commonly known conditions in which one of the body’s peripheral nerves becomes trapped. Although it has been around and referred to in medical journals since the late 19th century, it began to become recognized as carpal tunnel syndrome around the 1940s. Carpal tunnel syndrome can be caused in a number of ways and is often due to a combination of contributing factors. Primarily, irritated tendons become swollen. In turn, this narrows the pathway through which the medial nerve should pass and causes it to become compressed. Although studies have shown that the exact causes of CTS remain difficult to identify, we can outline a number of probable causes and factors which are most commonly associated with the condition. This is where the same hand and wrist motions are heavily repeated over time. This period of time is likely to be across a number of years. This repetitive motion can serve to irritate the tendons in the wrist. 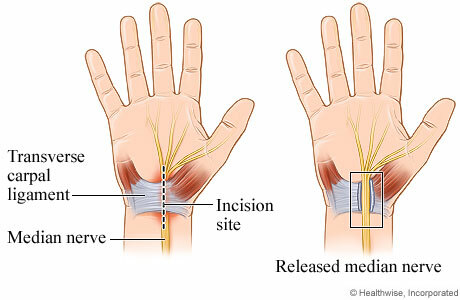 Becoming swollen from such irritation, the tendons will narrow the carpal tunnel and thus cause compression of the nerve. The onset of CTS in these cases can often be attributed to the working environments of the sufferers. Several studies show a correlation between repetitive action tasks in the workplace and the diagnosis of CTS. Pregnancy has been identified as a major factor in the onset of carpal tunnel syndrome. A prevalence rate of up to 62% has been referenced by some researchers. During pregnancy, levels of fluid retention are commonly much higher. This, along with an increase in swelling, especially during the later stages of pregnancy can heavily contribute to the development of CTS. CTS is a condition which is often noted as having the traits of a hereditary condition. This could in part be due to the natural bone structure for some people leaving less space for the passage of the median nerve. Such genetic factors which can leave a person pre-disposed to the condition, when combined with other factors such as those mentioned above, can further heighten the risk of a person developing CTS. There are a number of other medical conditions which, if present, can greatly enhance the risk of developing carpal tunnel syndrome. These conditions include diabetes, hypothyroidism, rheumatoid arthritis, osteoarthritis and clinical obesity. The presence of these conditions can in many cases cause a change in the bone structure or composition of bodily fluids. In turn, this can increase the likelihood of carpal tunnel syndrome occurring. In terms of risk, as mentioned above, anybody who is engaged in an occupation where they perform repetitive tasks especially those weighted more than 4kg during more than 50 percent of their working day are in one of the most vulnerable categories. This could be why there is a much higher reported incidence of muscular skeletal disorders, particularly CTS among hairdressers. Sufferers who may fall into the occupation related risk category are players of racket sports. The repetitive motion and vibration experienced by these players can ultimately lead to a higher incidence of carpal tunnel syndrome. It is noted as one of the most common wrist injuries sustained in tennis. In general, women are much more susceptible to developing carpal tunnel syndrome. Statistics show that they are three times more likely than men to develop the condition. This could be down to bone structure and the fact that the carpal tunnel itself is more often narrower in women. Adding further to the risk of female sufferers are those whom are pregnant. The prevalence of CTS among pregnant women is something which we have highlighted. Carpal tunnel syndrome usually only occurs in adults and again, a notably more at risk group are those over 40 with a huge increase in the number of diagnosis’ between the ages of 40 and 60. Those who suffer from, obesity, lack of fitness and poor general health are also more likely to suffer from CTS and can often expect a more prolonged recovery time. This can be due to an increase in bodily fat or cholesterol which can cause passage ways to become restricted for both nerves and blood flow. If you are in a high-risk category for carpal tunnel syndrome or just a conscientious person who wants to engage in the best practice to stay injury free, there are a number of stretches you can perform to reduce stiffness in your wrists and forearms. Although these may sometimes seem unnecessary, the increased flexibility can greatly reduce your chances of developing the condition. Recent studies also show that these stretches can help reduce pain and other symptoms of CTS. This is a simple starting point and stretch you can perform anywhere at any time to greatly relieve stress in your wrists. Place one arm straight out in front of yourself with your palm facing downwards and elbow straight. Using your other hand, apply some gentle pressure to the outstretched palm, pushing your hand and fingers down and stretching as far as your wrist will allow. Hold this maximum point for approximately 20 seconds, change hand and repeat the exercise. Reversing this motion with the palm and fingers pushed upwards to the maximum point will also relieve a lot of excess tension in the wrists. Place the palms of your hands together to form a symmetrical shape, akin to that of a prayer style. Spreading your fingers as far apart as you can, lift the palms of your hands outward while pushing the fingers of either hand against each other. This should result in the forming of an A shape. Repeat this motion several times and hold the maximum point for 10-15 seconds. This stretch is a little more rigorous and requires more space, however it does wonders for alleviating tension in the forearms. Assume a kneeling position in a safe location with your hands in front and fingers facing back toward your body, palm down. Slowly sit your body back on to your heels as far as you can while holding your arm and hand position. Hold this position for 20 seconds and you should feel a fantastic relief in your forearm. It is important to note that although these stretches are important and can be greatly helpful in both preventing and reducing CTS, you should always take care to exercise safely. Some of the most common methods to help with treating carpal tunnel syndrome besides performing the stretches we have mentioned include, surgery, anti-inflammatory injections and the wearing of wrist braces specifically designed to help combat CTS. Surgery is performed in a number of cases where non-surgical treatments have been unsuccessful and symptoms have become too severe to manage on a daily basis. Data shows that over half a million people undergo surgery on an annual basis. The resulting recovery time can be anywhere from 1-6 months, with a cautious approach to undertaking strenuous tasks. The success rate for both open release surgery and endoscopic surgery are high. In terms of non-surgical options, there are many high quality wrist braces which work excellently to relieve symptoms of carpal tunnel syndrome and even assist in keeping the carpal tunnel open while you go about your days as usual. Check out our review of some of the best carpal tunnel wrist braces to choose which one can best fit your needs. Undoubtedly carpal tunnel syndrome represents an ever present issue for a vast cross-section of our society today. We can see that it has an impact on the daily lives of a vast number of people. Although we have pointed to the various risk factor associated with CTS, it still remains quite unclear in terms of exact causes. One thing though is very clear from our analysis, with the correct strategy and assistance from some other equipment and devices, carpal tunnel remains a very fightable condition. Regardless if it has already occurred or if you can choose to take preventative measures, there are options available. With many of these options being non-surgical and quite cost effective, they are certainly worth exploring when faced with the daily hardships brought along by CTS. Failing these choices, surgery also paves a safe path with a reasonably short and often successful recovery time. By following these simple stretches and becoming more aware of the treatment options available, we hope to help you prevent or east your struggles with carpal tunnel syndrome. Have a look through some of our other information pages to arm yourself with more useful hints and tips.